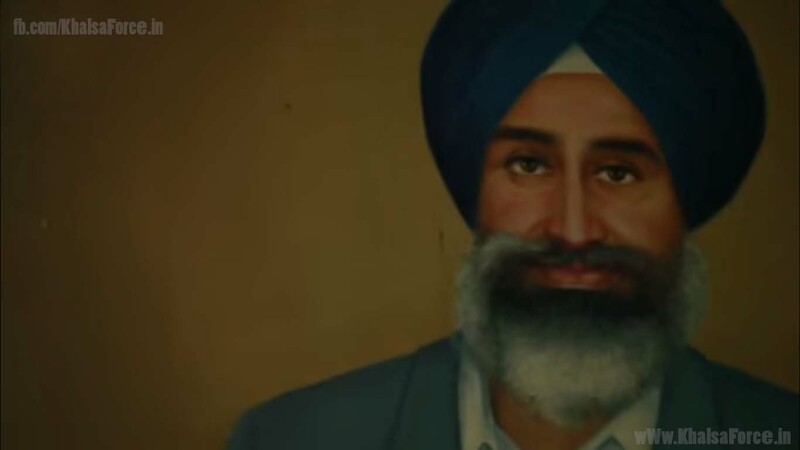 Shaheed Jaswant Singh Khalra (1952-1995) was a human rights defender who was born in Khalra village of Amritsar district. He was a bank employee in Amritsar during the 1980’s. After Operation Blue Star, the assassination of Indira Gandhi, and the 1984 Anti-Sikh Riots in which thousands of innocent Sikhs died at the hands of crazed (some apparently organized) Hindu mobs, after the Prime Minister was assasinated by her trusted Sikh bodyguards. In the Punjab police were empowered to detain Sikhs for any reason, ostensibly as suspected terrorists. Seeing that many of his friends and colleagues had gone missing, he researched information which eventually led him to find files from the municipal corporation of Amritsar which had information containing the names, age and addresses of thousands of Sikhs who had been killed and illegally cremated by the Punjab Police. In 1995, Jaswant Singh was last seen washing his car in front of his house, when he disappeared. Witnesses gave statements implicating the police and implicated, ‘the butcher of Punjab’ – KPS Gill, but the Punjab Police denied that they arrested him, and claimed they knew nothing about his whereabouts. In 1996, the Central Bureau of Investigation found evidence that he was held at a police station in Tarn Taran and recommended the prosecuting of nine Punjab police officials for his murder and kidnapping. $2 On October 16, 2007 a division bench of the Punjab and Haryana High Court, chaired by Justices Mehtab Singh Gill and A N Jindal, extended the sentence to Life imprisonment for four accused Satnam Singh, Surinder Pal Singh, Jasbir Singh (all former Sub Inspectors) and Prithipal Singh (former Head Constable) . Jaswant Singh Khalra’s contribution to the Humanity and Human Rights is evident from his work. He collected the Data and information on thousands of Sikhs who disappeared and, according to the records brought to light by Jaswant Singh, were later eliminated by the State’s Armed Forces and cremated as unidentified persons secretly by the Punjab Police. This list contains the information of Sikhs cremated in just two tehsils (An Administrative Division) of Punjab. The Supreme Court of India and the National Human Rights Commission of India has certified the validity of this Data. Jaswant Singh Khalra’s assertion was that there would be more than 25000 Sikhs killed by the State and cremated by showing them as unidentified and unclaimed, while there are still many Sikh families waiting to hear news of what happened to their missing loved ones, many wondering if they might still be alive.